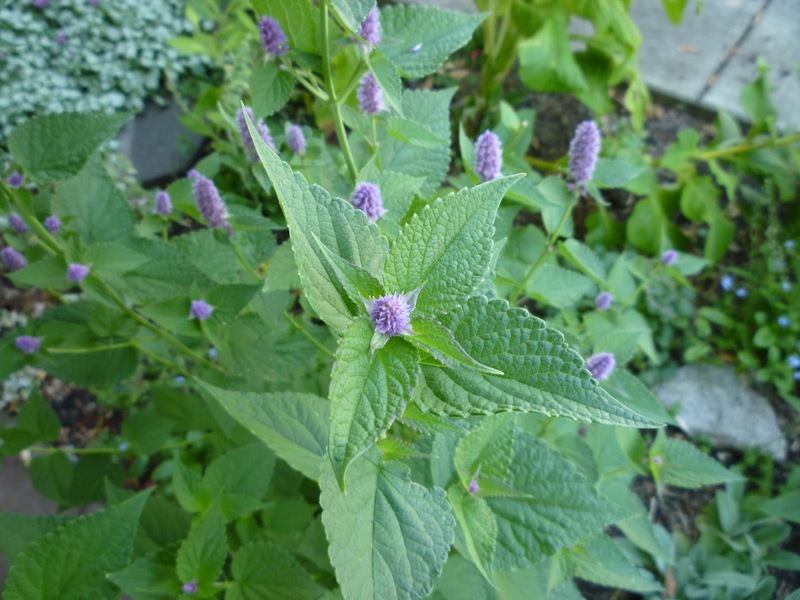 Hyssop is blooming in my garden, reminding me of Psalm 51: Thou shalt sprinkle me with hyssop, and I shall be cleansed. Thou shalt wash me, and I shall become whiter than snow. Three years ago seeds must have fallen into the ground from the plant I’d bought; why they waited so long to sprout this spring, I don’t know. 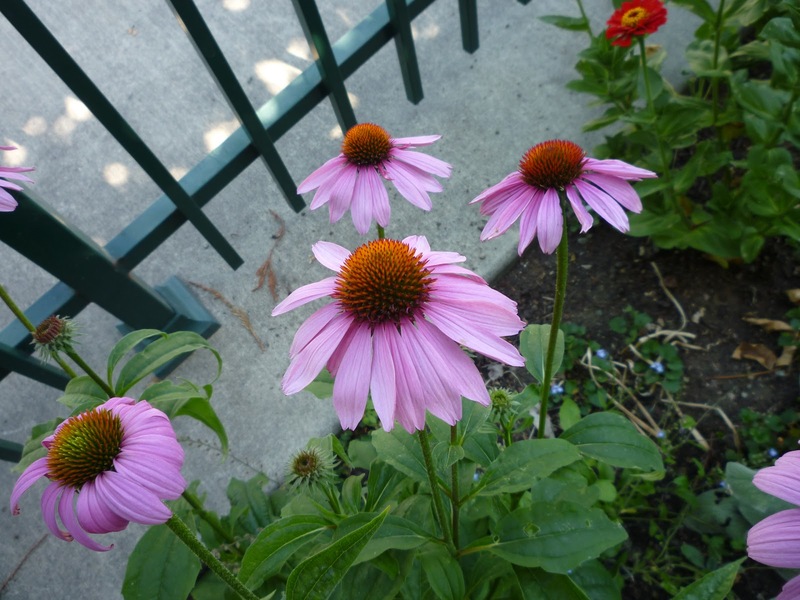 The zinnias are going strong, and now the purple coneflowers are coming on. I got distracted and forgot about them when they were dormant and the foxgloves were dominating that space, and by planting the red zinnias I broke my rule about not having red and magenta-colored flowers together. That could have been a disaster! But they seem to be getting along o.k. Even when the landscape is not living up to my visions, I’m relaxed out in the garden in the midst of my accomplishments. They are really God’s accomplishments; the little contributions I made could never on their own have created the splendor that is right here in my back yard. 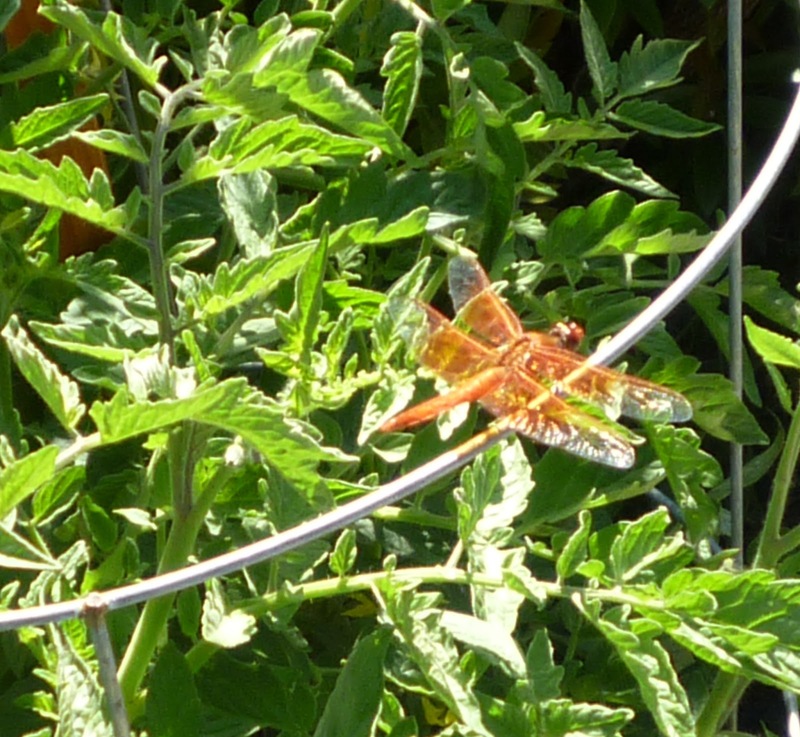 An orange dragonfly posed for a picture. I have joked that I approach agoraphobia, but that was coming at the truth from the wrong direction. I just love being home and working at home. Until I came home to the Orthodox Church, I dragged my feet even about going to church, much as I loved the people there, and God. And though I will gladly drive and fly all over the country and even the world to see and be with those dear to me, it’s annoying just having to run errands in my town and break my concentration, my focus on home. It’s not laziness, it’s an attentiveness that encompasses many kinds of mental and physical work. You’ve seen the long lists of things homemakers are called upon to do; well, I have my own intensely personal version of that list, and only God knows all that is on it, what burdens I carry and how light they are here in my realm. No, I don’t fear going out, I don’t have a phobia of The Marketplace. But when I do go, it is always with the anticipation of feathering my nest with things I will bring back, or with the confidence that I will soon return to the place where I am most alive and productive…and the hope that having accomplished those outside tasks I will have a longish reprieve from distractions, and be able to get on with my best work. I’m not agoraphobic, I’m domiciliphilic.